RENO, Nev. -- A Nevada Army veteran who died without knowing he won the nation’s highest medal of bravery received the honor he’s been owed for nearly 140 years in a ceremony on Monday. 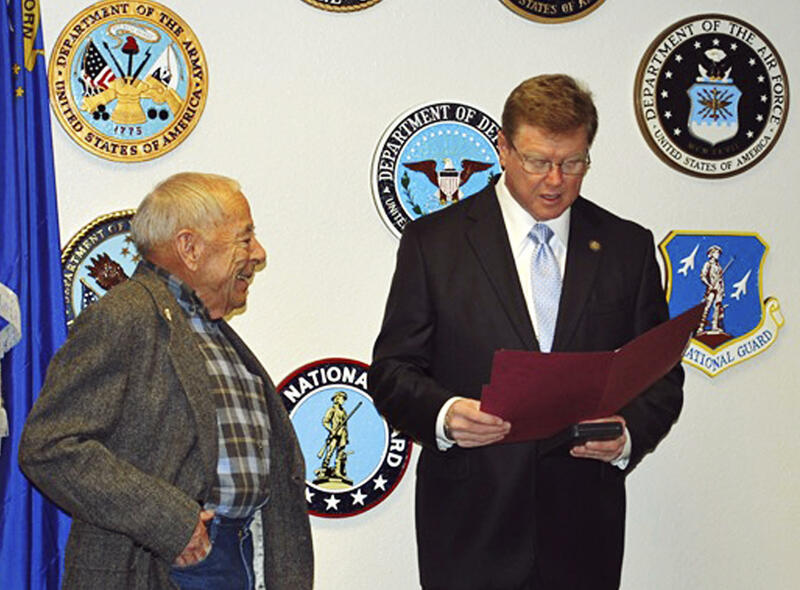 Nevada Rep. Mark Amodei held an event at his Reno office to present a new Medal of Honor to Jerry Reynolds, the 82-year-old grandson of the late Private Robert Smith. Smith fought in a battle against American Indian tribes in the Dakota Territory on Sept. 9, 1876, when he was 29. Then-President Rutherford B. Hayes approved the Medal of Honor for Smith in 1877 for showing “special bravery in endeavoring to dislodge Indians secreted in a ravine,” according to Army records. But the award never made it to the veteran, who was born Harry Reynolds but used an alias for unknown reasons. His grandson said the medal was delivered to Camp Sheridan in Nebraska Territory, where Smith had previously lived, but someone else signed for the package. Smith returned to using his birth name after his discharge from the Army, then later moved to Elko, Nevada. He died in 1930 without knowing he won the award. In 2011, the Sons of Union Veterans of the Civil War contacted Jeffrey Reynolds to let him know about his grandfather’s award. Smith had served as a drummer boy in the Civil War before enlisting in the Army in 1872 under the pseudonym. Jerry Reynolds contacted Amodei’s office this summer to seek help getting a new medal. Congressional staff worked with the Army’s Command Awards and Decorations Branch, which announced on Oct. 14 that it would provide a medal to the family as a symbol of the one that was never presented to Smith.